With the new year, new fine wine list and new TWS offers on one side and dry January and new year resolutions on the other side… what is everybody getting excited to take delivery of this month? 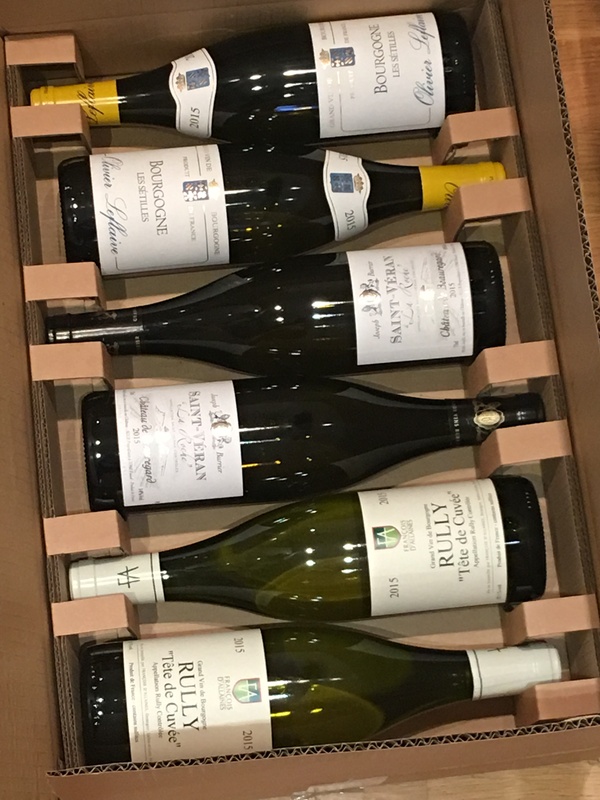 The 2015 White Burgundy case, should drink well now. 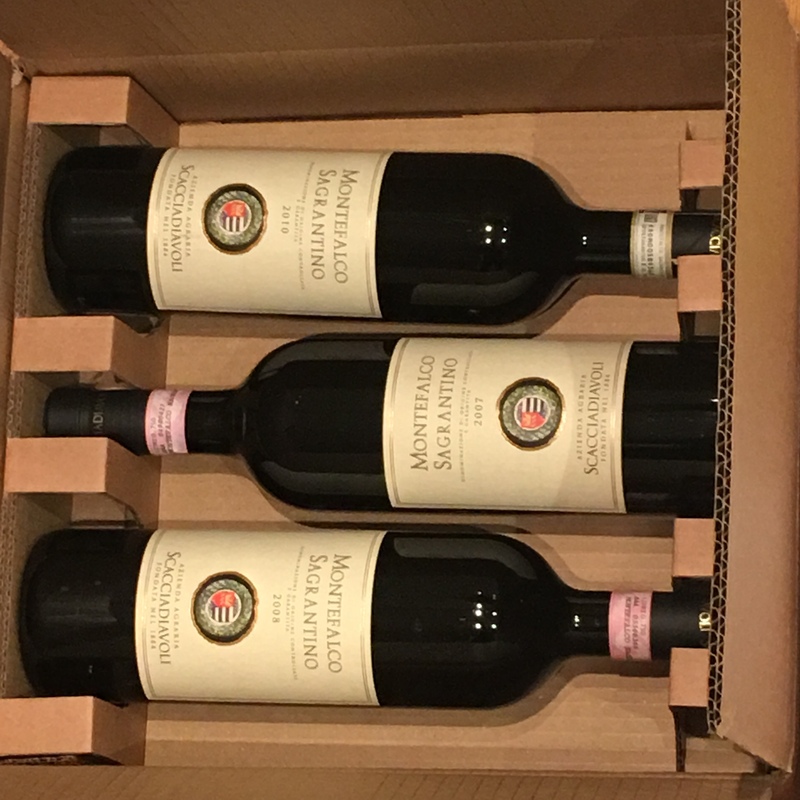 The Montefalco Masterclass case, will check the 2007 soonish, and dependent on that may breech the other two. 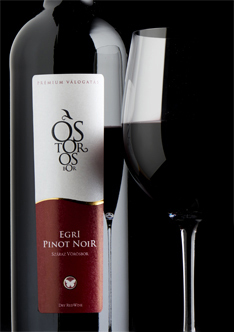 …and a case of the Ostoros PN also from reserves, though it is still around and is now part of the Curiosity Shop offer. Sorry we do not have any notes for this product. 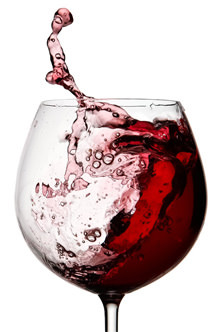 Ripe, spicy cherry fruit, supported by a touch of herbs and violets. This is quite a powerful wine with good keeping qualities and a joyful example of Chianti in a warm vintage with the finesse of wines from the best estate in the Rufina valley. Every bottle will be nestled down in the Eurocave for a while yet. Though the first sunny day will see the xinomavro rose under threat! Holding on at the moment. Will probably pick up some halves as very useful when counting calories as I have to now (and should have years ago). 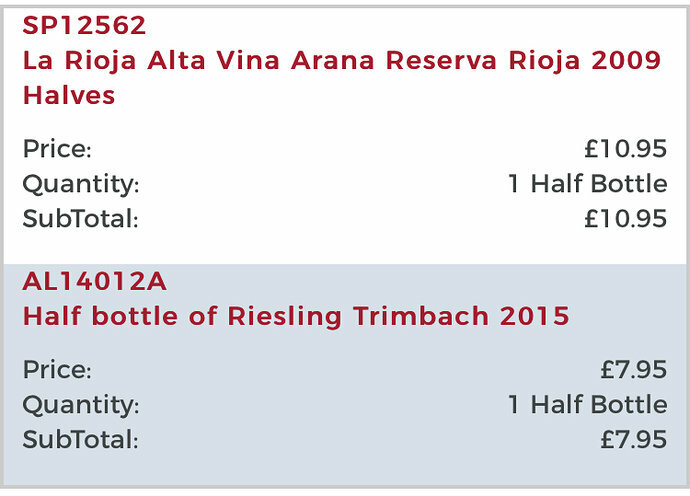 As for weekend treat wines these 4 are at the top of my considerations. 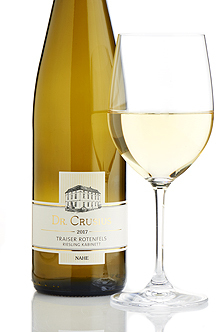 Richly perfumed German riesling, piquant, spicy and full-bodied from an outstanding producer in the Nahe. 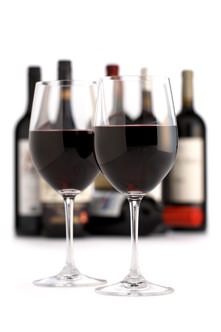 These wines always take a while to be at their best, but this will be worth the wait! 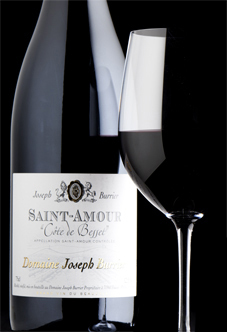 Classic, nuanced Beaujolais from a vintage that is delivering both high quality and welcoming charm. There’s a touch of savoury complexity to the perfume, while the palate shimmers with sweetly fruited appeal and elegance. Fabulous vintage for Vieux Télégraphe with everything in the correct place. Sadly, Henri Brunier, who created the reputation of Vieux Télégraphe with the 1978 vintage, died a few weeks ago. This is a fitting tribute to his memory. 2015–2029. 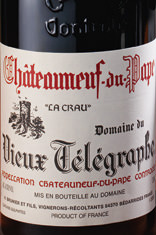 A fabulous Vieux Télégraphe, full-flavoured with rich sweet fruit and well-integrated tannins. As usual, Vieux Télégraphe is at its best with plenty of bottle age. The 2009 is just peeking through now but it would clearly benefit from a few more years yet. Daumas Gassac is a unique wine made from a majority of cabernet sauvignon grown on fine gravel in an idyllic spot surrounded by the garrigue and fed by the cooling waters of the little Gassac stream.The 2009 is a top vintage, ranking alongside the '78 or '82. 2015 to 2023. Magnums available. 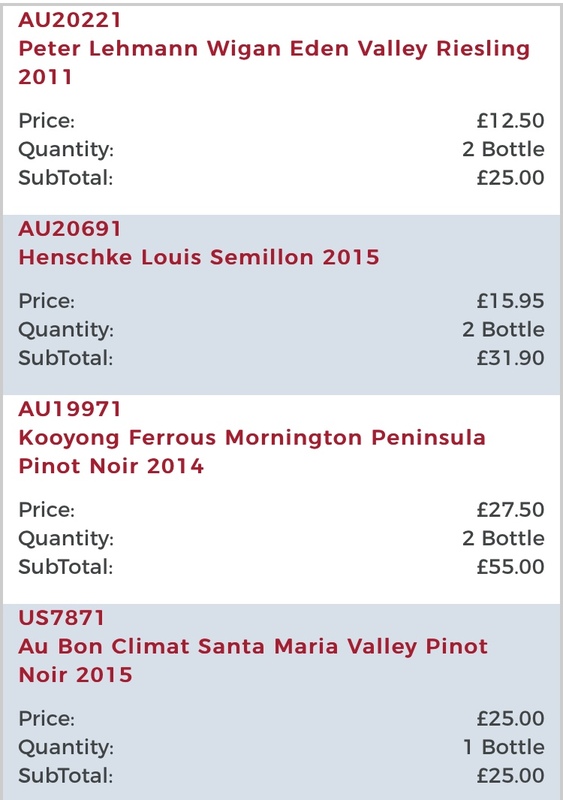 Just had this lot delivered for a taste test with a view to sticking the ones I like in reserves. 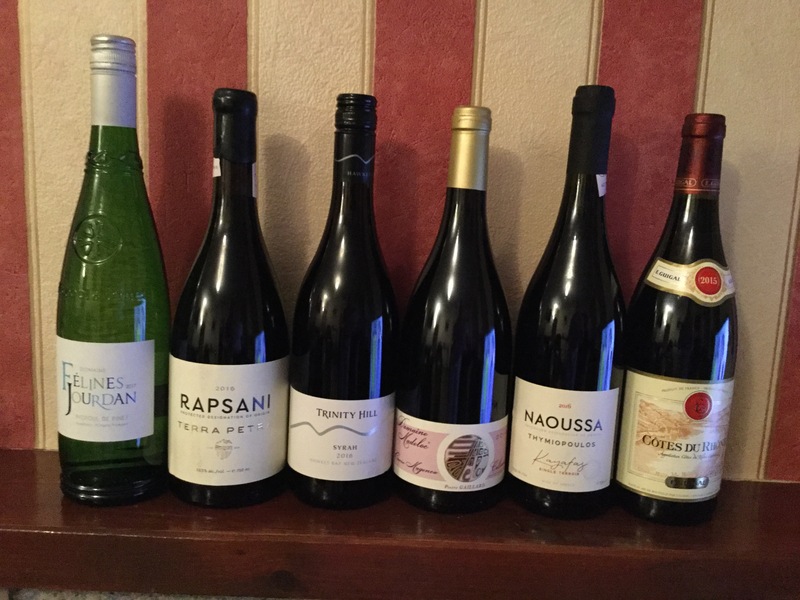 The Collioure Magenca was a big hit, the Naoussa single vineyard not so much. I have bought too much (in % terms) Rhône in recent times and I am determined to explore Italy, Greece and more this year. 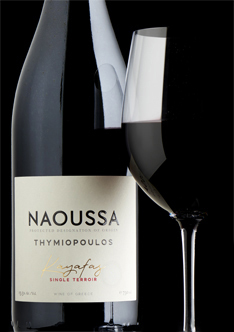 A full-flavoured northern syrah with dark, tarry fruit. Mineral, in the sense that one can taste the soil and graphite, and with a long finish. One for the future - probably around ‘21 onwards. This is fabulous Crozes, fruity with depth and finesse. The sources for the grapes are impeccable with the contacts coming from Nicolas Jaboulet and the technical wizardry, including some very classy oak vats, from the Perrin family. The 2015 has an added dimension, with greater weight and length. 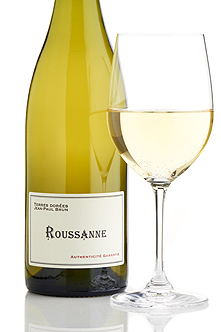 I’m really keen to try the Crozes - it’s an appellation I have always struggled to love. 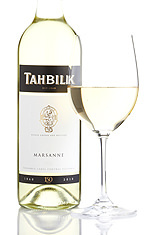 I bought the 2013 vintage of this and, while it is sound enough, it hasn’t really converted me. I am hoping the ‘15 will be the wine to finally convince me. Especially as the view seems to be that Crozes excelled in ‘17. Great shout on the Montefalco! That is a great stock up. If I am not indiscreet where do you buy Santa Duc? 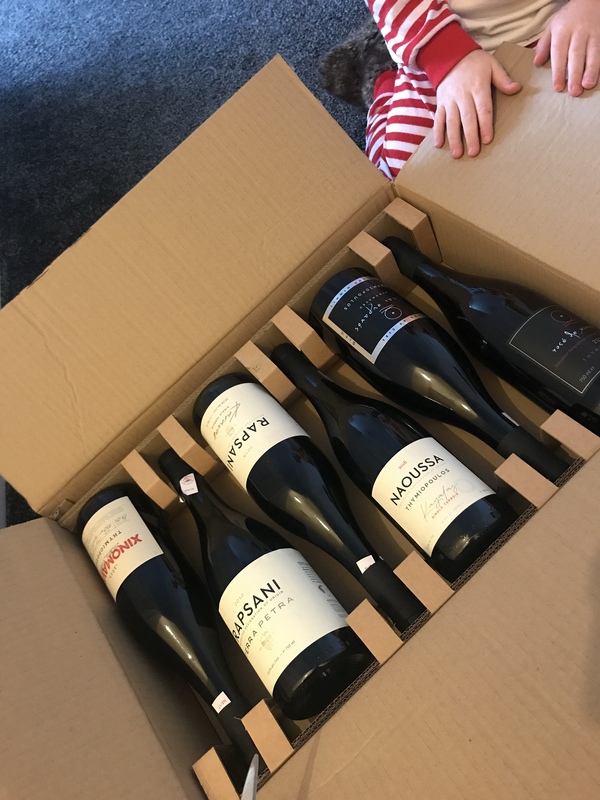 HI Nick see you have 2 bottles of the Wigan Riesling, I have a case of the 2011 in storage elsewhere, it was a bit of a punt. Have you already tasted this? CellerTracker show the drinking window at 2021-2031. 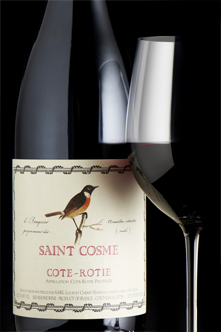 I have a few weeks to wait for this, as the Cotes du Vivarais is out of stock at the moment. Absolutely worth waiting for though! 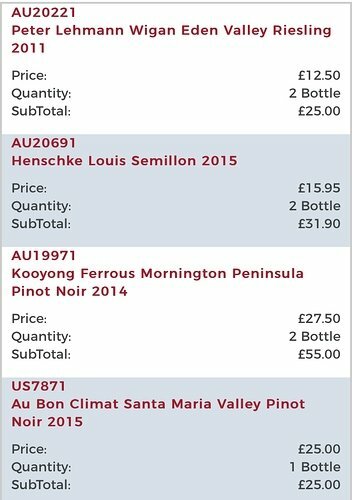 Just in case anyone’s not spending enough money on wine at the moment, a load of Burgundies - new releases and back vintages - have just been added to the list. I know you linked the reds, but this white in particular is very interesting. 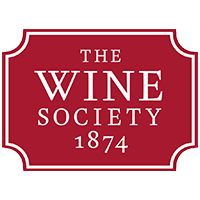 Tasted the 2017 and was blown away… this could be great. There are only 20 bottles.